VIDEO: Have You Seen What Peter Okoye And Niniola Did? mr p one more night. For Mr P's latest single, he teams up with Niniola to deliver the seductive tune, "One More Night"
As solo artistes, the former members of P-Square have retained their collaborative spirit, working alongside big names in the industry – from Patoranking to Simi. 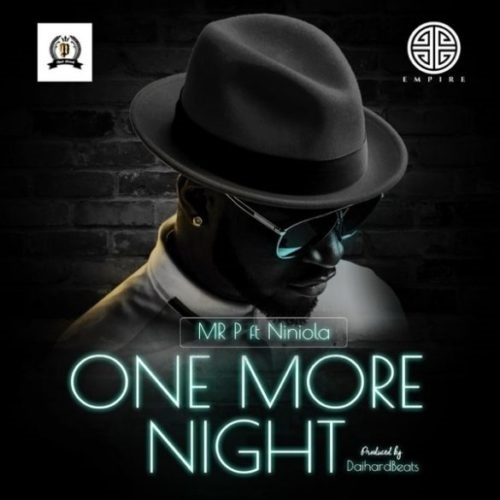 For Mr P's latest single, he teams up with Niniola to deliver the seductive tune, "One More Night". On the song, Mr P delivers a solid first verse and a passionate chorus that sees him seeking one more night with a fling. The audio for "One More Night" is accompanied by a candid video of the studio sessions of Mr P and Niniola. In the video, we see their dedication while delivering their lines, as well as the laughter they share while recording.